Join the only promotions site strategically designed for real1 plastic surgeons. Connect to thousands of new clients directly to your place of business, increase revenue and brand awareness in your area. Stretch the advertising dollars and invest in creating a great promotion that will get your target clients right into your door. What better return on investment could you ask for? We do all the heavy lifting for you! We are one of the first sites to allow business owners to create promotions on their own and schedule them at their own convenience. On top of that your return on investment is going to be great. We also have resources which will allow you to send through Twitter and Facebook and even upload your own email list to email market directly to your current customers without all the hassle. 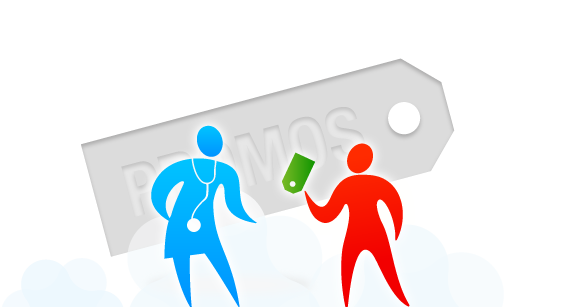 Rather than automatically discounting your services in half like other sites, we allow you, the doctor, to control the promotion percentage discount and even schedule the deal to run right away. There are also no percentages taken for the items bought, only a low flat rate per deal sold. So no matter how much it is offered at, you still pay the same low cost. How Can The Knowledge Center Benefit Me? The Knowledge Center will increase the traffic to your BuildMyBod page by listing local doctors with items for sale on the side bar of each procedure searched in the database. An icon will show up next to the name of surgeons offering a promotion. This allows the exposure to connect with hundreds of consumers who are interested in plastic surgery. There is no time better than today to sign up for BuildMyBod and connect with patients in new and exciting ways.